One of today's most respected independent watchmakers, Kari Voutilainen offers a Baselworld 2015 preview with the GMR, a new timepiece featuring a 24-hour second time zone and retrograde power reserve indicator. The GMR is powered by a hand wound movement entirely designed and handmade in the Voutilainen master workshop in the village of Môtiers. Crafted in German silver and rhodium plated, this mechanical caliber consists of no less than 250 components and 28 jewels. It is meticulously finished with Geneva stripes decoration and hand chamfered bevels which can be admired through the sapphire crystal case back. 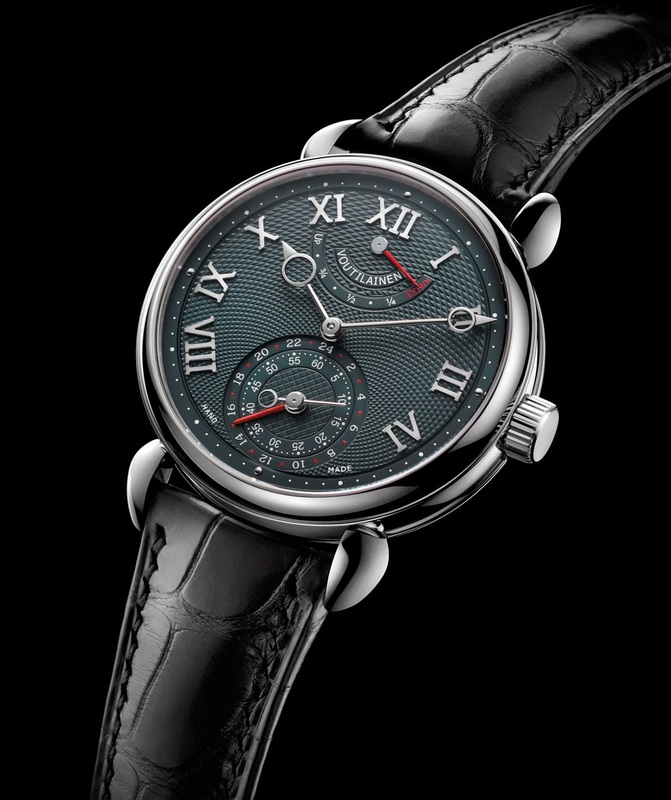 The elegant dial with applied Roman numerals is crafted from solid silver and engine turned by hand. The small seconds sub-dial at 6 o'clock is embraced by the second time zone indication. To visually counterbalance them, the retrograde power reserve indicator is positioned at 12 o'clock. The second time zone can be easily adjusted by the crown in one-hour increments. 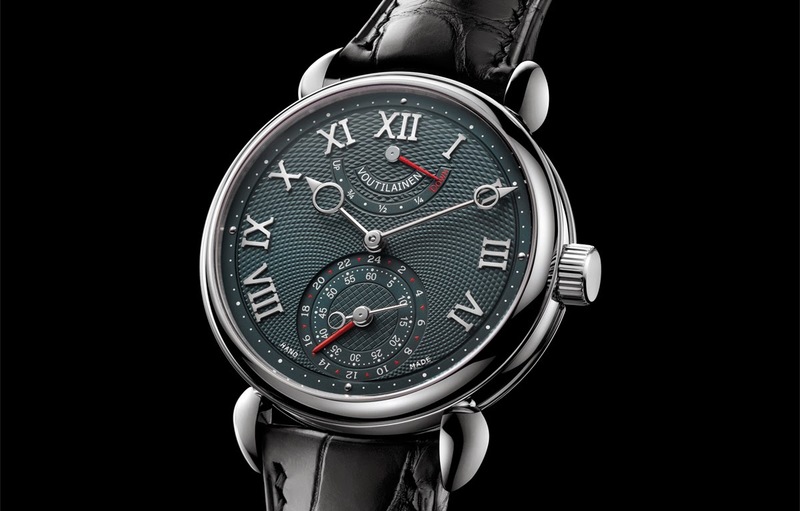 Kari Voutilainen GMR. One of today's most respected independent watchmakers, Kari Voutilainen offers a Baselworld 2015 preview with the GMR, a new timepiece featuring a 24-hour second time zone and retrograde power reserve indicator. The 39 mm case is available in white gold, rose gold or platinum with prices of Swiss Francs 108,000 for the gold versions and Swiss Francs 118,000 for the platinum one. 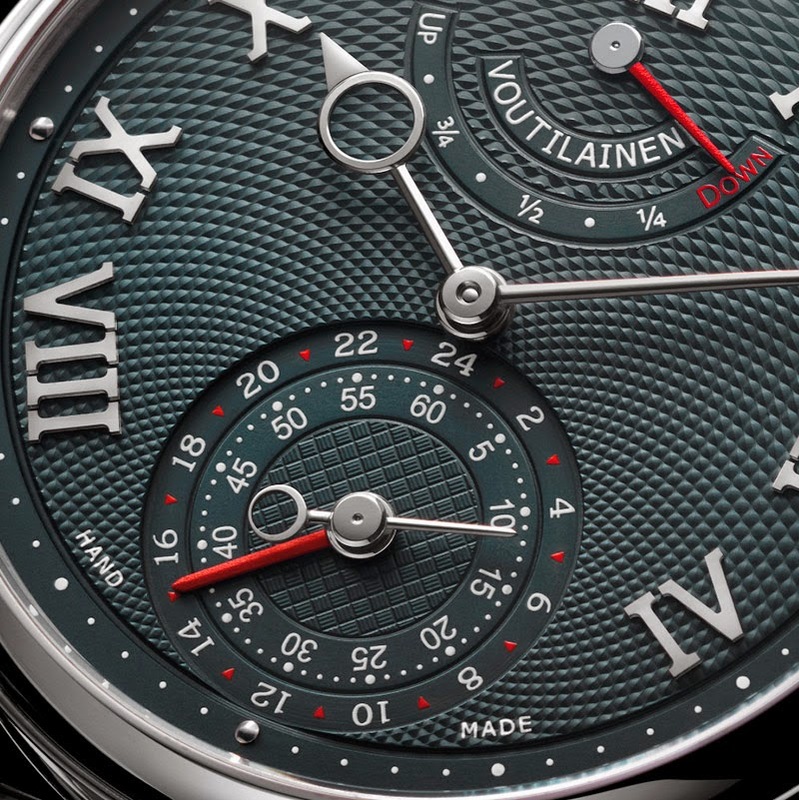 Only 12 pieces of the Kari Voutilainen GMR will be produced.